has implemented nearly 30 percent rate hikes over the last five years. 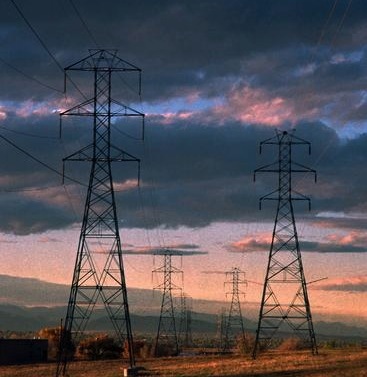 There's good news for the Pacific Northwest and the federal hydro system that powers it. Key members of our congressional delegation have stepped up to declare the value of our dams that provide affordable, renewable hydropower, flood control, navigable waters for agriculture and recreation to our economy and way of life. They're asserting their rightful authority over the eight federal dams that serve families and businesses in Washington, Oregon, Idaho and Montana. Reps. Cathy McMorris Rodgers, R-Wash., Jaime Herrera Beutler, R-Wash., Dan Newhouse, R-Wash., Kurt Schrader, D-Ore., and Greg Walden, R-Ore., introduced a bipartisan proposal, H.R. 3144, that would maintain current salmon protection measures and federal hydro system operations agreed to by nearly all parties in litigation over the 2014 Biological Opinion until a court-ordered analysis of alternatives, called a NEPA (National Environmental Policy Act) review, is complete. It is a measured and commonsense approach to addressing judicial rulings that are contradictory and tread into Congress' role. In May 2016, U.S. District Judge Michael Simon ordered the agencies who run the Federal Columbia River Power Systems (FCRPS) to redo the scientific analysis that underpins measures designed to balance the value of the hydropower system and mitigate impacts to fish populations. The 2014 plan, called a Biological Opinion had been developed by Northwest states and tribes and vetted by the Obama administration's top scientists. The judge ordered a comprehensive NEPA review, including further scrutiny of federal hydrosystem operations, be completed by 2022. He even went so far as to state that removal or breaching of the Snake River dams be one of the considered pathways. The agencies have begun this arduous process and are working diligently to comply with his order. That wasn't enough for the litigants -- National Wildlife Federation, Earth Justice, the state of Oregon and the Nez Perce tribe, among others -- which filed injunctions seeking to increase the amount of "spill" of vast amounts of water over these dams. Judge Simon did not grant the injunction, instead calling for a "spill test" in 2018. This undermines the court's own ruling to fully assess federal hydro system operations in the comprehensive environmental review process. And, the region's Independent Science Advisory Board (ISAB) concluded in 2014 that spilling higher volumes of water past the dams to speed young fish to the ocean does not correlate to higher numbers of returning adults. Too many other factors affect survival, including hatcheries, harvest and ocean conditions where salmon spend three to five years versus the 30 days or less they spend migrating downstream past dams. On top of questionable benefits, even potential harm for fish, this lost hydropower would have a substantial impact on Inland Power members and the Pacific Northwest, as the power generated by these dams would need to be replaced with other energy sources at a higher cost and likely generated by fossil fuels. Additional costs would be passed on to Inland Power members who benefit from this carbon-free renewable energy. Our best estimate of the impact of the additional spill is a 2 percent increase in our wholesale costs or an approximate 1 percent rate impact on individual electric bills. A percent rate increase may not seem small until you factor in that the Bonneville Power Administration, Inland Power's primary power supplier, has implemented nearly 30 percent rate hikes over the last five years and just proposed another 5.4 percent increase in rates and has put a spill cost "surcharge" in place. The federal hydro system, and our members, are suffering from a death by a thousand cuts. This piece of legislation is not about presupposing outcomes but actually re-sequences events that the court itself has already ordered: first, the full NEPA review of the impacts of the hydrosystem on the region's iconic fish, by September 2022. Then, adoption of a new salmon plan based on that public, transparent process and the science it yields. This legislation is a commonsense attempt to take a timeout from unending litigation that distracts the federal agencies from focusing on doing the best job possible in the environmental review process. Our elected officials are showing vital leadership with a proposal supported on both sides of the aisle. Their bill protects salmon with measures vetted by the Obama administration's top scientists, and at the same time, protects the hydrosystem that powers our economy and supplies most of our energy mix. John Francisco is chief of energy resources at Inland Power and Light, which serves primarily rural areas in Eastern Washington and North Idaho.